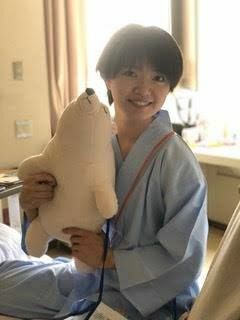 Former SKE48 member Yakata Miki (25) has revealed that she has received surgery to remove her left breast and lymph nodes due to breast cancer. Yakata has already been discharged from the hospital. "Since they had to remove my lymph nodes, it's still difficult for me to raise my left hand above my shoulders. But if I work on rehab, it will be back to normal, so I hope to become better as soon as possible," she said. Yakata already has plans to return to a radio program next week. She positively stated, "I'm sure there will be a lot of things to overcome, but I have more things that I want to do! I will continue to move forward positively so please continue to support me!"